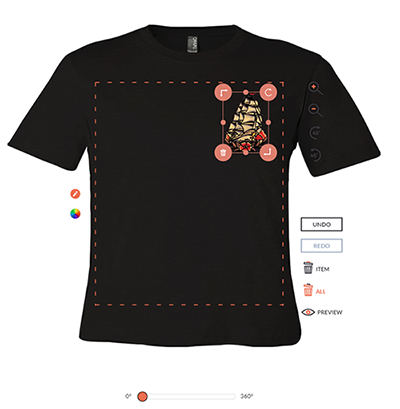 GoCustomized Custom Premium Tee Review – Clipper Ship, Baby! I was recently approached by GoCustomized.com to do a review of a custom shirt. Normally I don’t go for the “items in exchange for posts” idea; but I thought custom t shirts where I pick and design it for myself could be fun. I wasn’t wrong! I was thinking these shirts would be great if you were backpacking with a few friends, like “Roos Euro 2020” or some other meme that you and your mates share that would make for a fun shirt to wear around and a nice memento once the travelling is over. GoCustomized offers phone cases, tablet cases, and apparel – all of which can be customised. I decided to go with a custom shirt, a men’s round neck premium tee. Once you’ve made your selection, you’re off to the races. The fun bit! 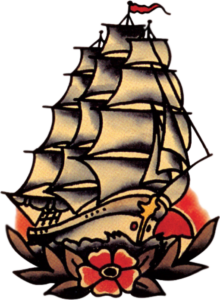 Now I love clipper ships. I’m not sure why, and you probably won’t believe me… but I’ve loved them even before indie hipsters decided they were cool. I’ve loved them since I was a little tyke! I only love the older ones, you know like 1600 to 1800. They were just such a symbol of adventure. Of discovery! Finding new lands! Trading spices, teas, gunpowder, fireworks! Okay, GROOVY. I love that. 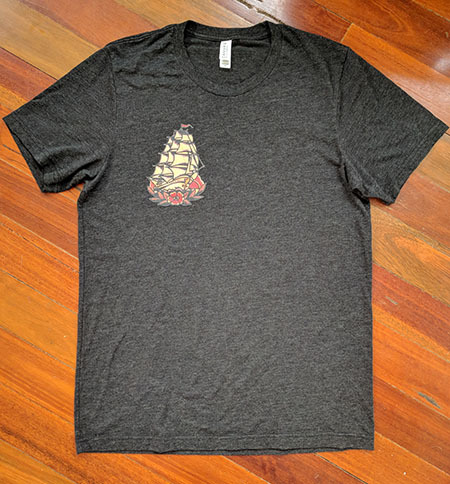 I settle on the black shirt, although it has a “grainy” feel to it, but I think it goes well with the clipper ship. Let’s just pop it on the shirt, no stress. I tried some different layout combos and spots and settled for an understated spot, similar to where a breast pocket would be. Perfect little location for my clipper ship! Easy, peasey! Then I just checked out and got my order e-mail confirmations. The true test would be what it looked like when I got it in the mail though. Finally, it arrived in the mail. I eagerly opened the package and was really impressed – it turned out great! I’ve had it about 6 weeks now and it’s holding up very well, not losing its shape and washing fine just in my normal washing machine. Worn it quite a few times already! 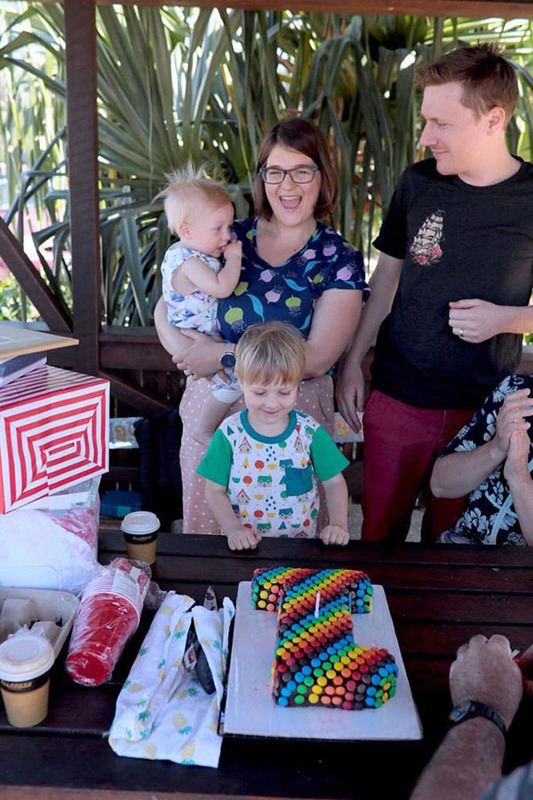 There it is in action at my son’s 1st birthday party! 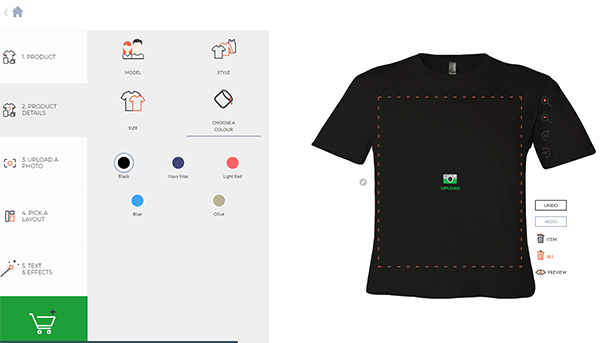 Definitely have no problems recommending GoCustomized tee’s if you want something custom or bespoke – or simply just want to make your own shirt. 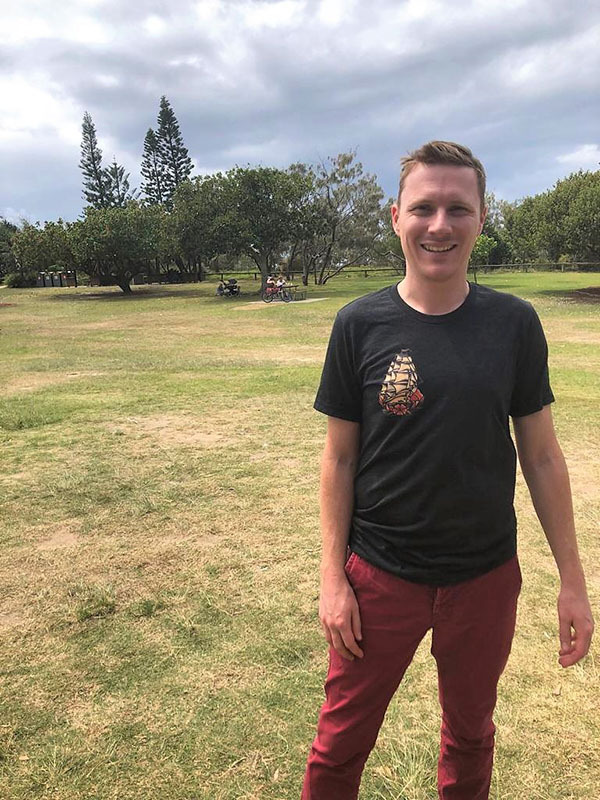 I was thinking it would be a great idea for a little group of mates travelling overseas or who are going to backpack through Europe and Asia, the shirts would travel well too as they are light to carry and easy to wash. I’ll quite happily keep on wearing mine.